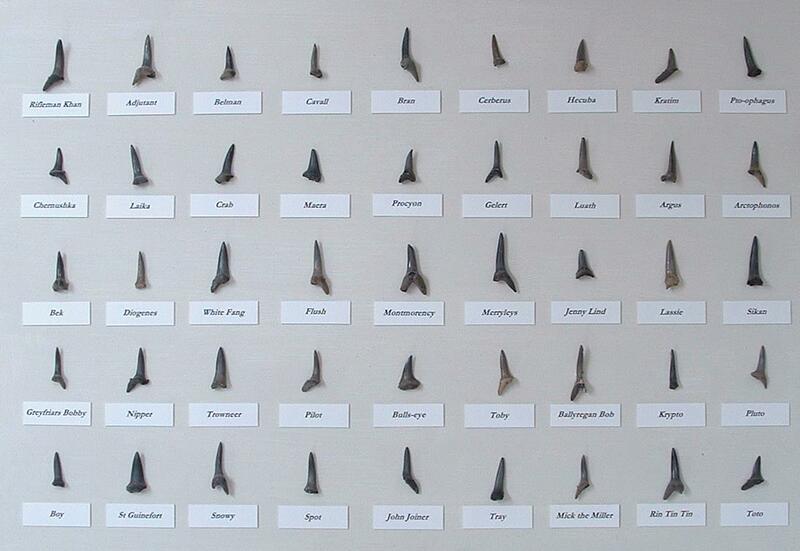 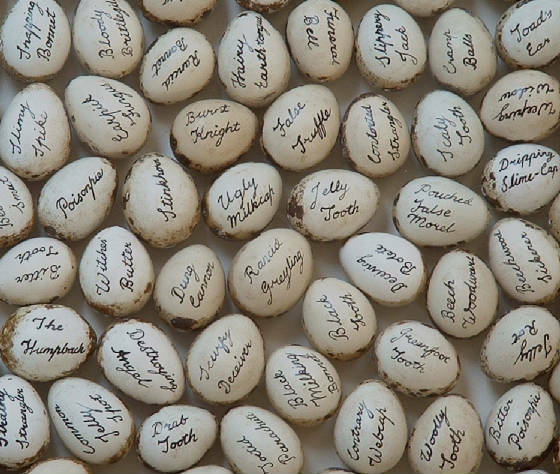 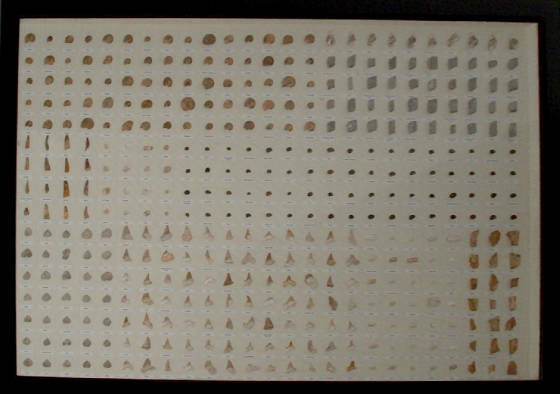 The names of famous historical and fictional individual animals are applied to fossils, layying the taxonomy of the individual on the species-grouping. 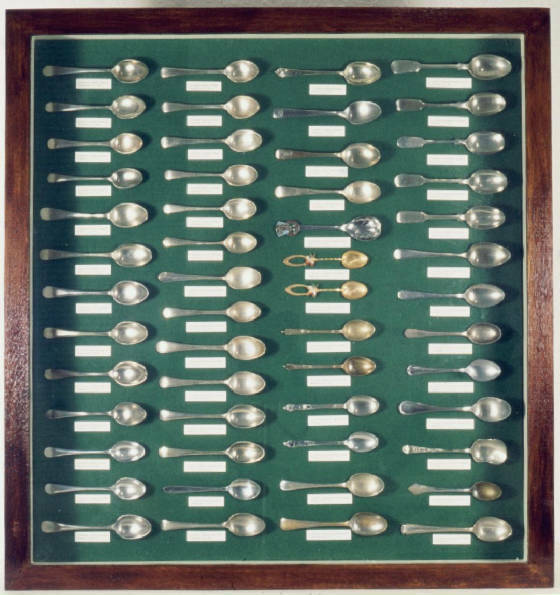 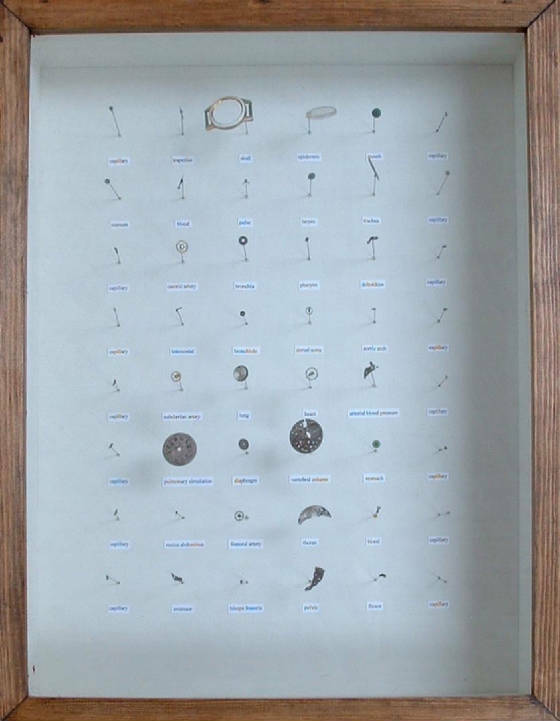 A collection of spoons, with zoological descriptions in Greco-Latin. 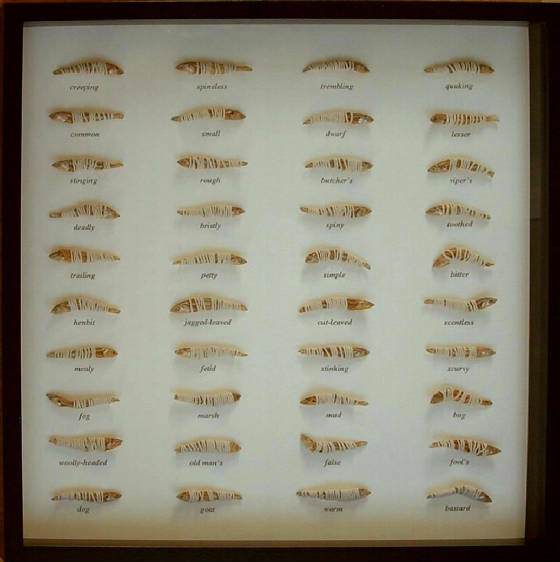 Descriptive sections of the names of wild flowers (dog, butcher's, creeping, etc.) 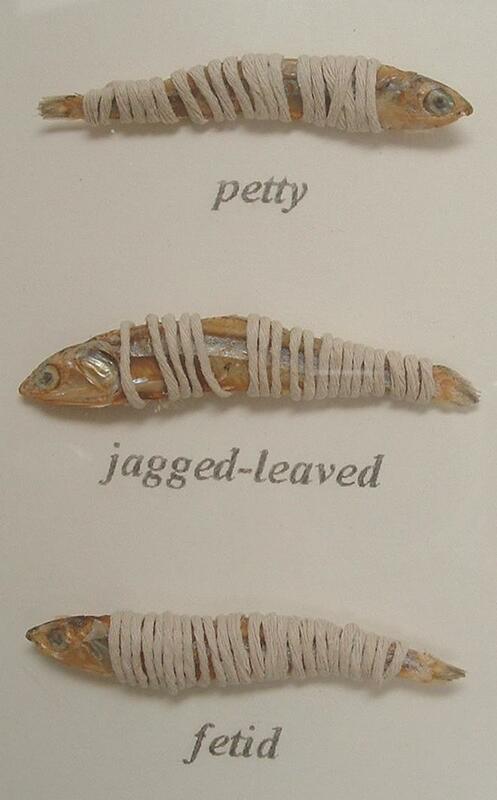 are applied to the bodies of anchovies dried in salt and tied with string. 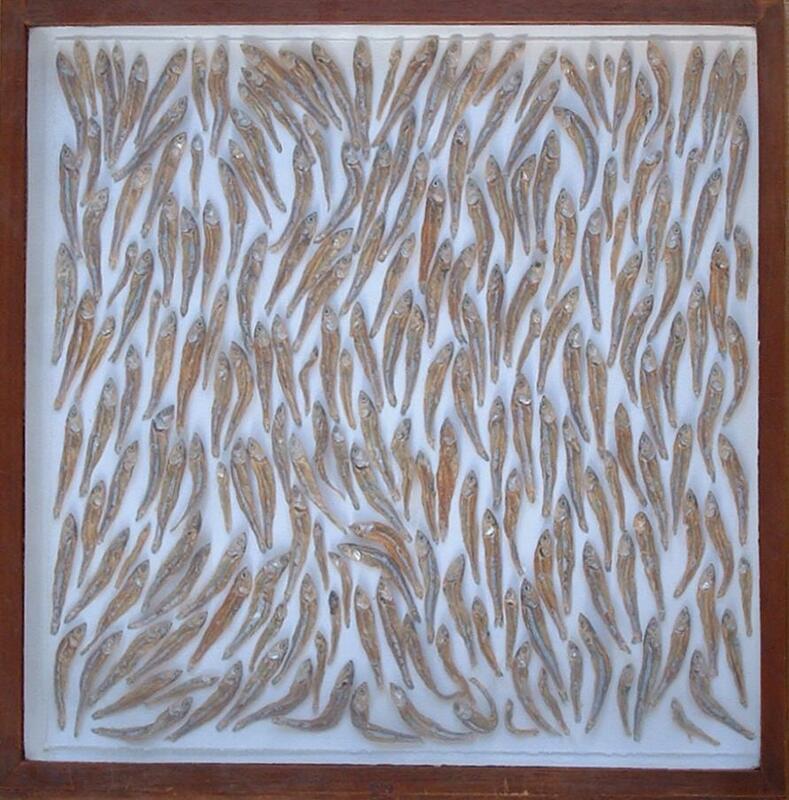 The bodies of anchovies dried in salt are laid out in a drawer from a collection once owned by the Rothschild family. 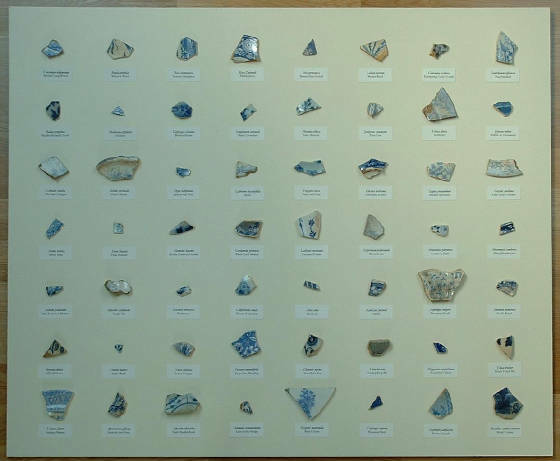 Fragments of blue transfer-printed ceramic from the past 400 years showing designs of plants. 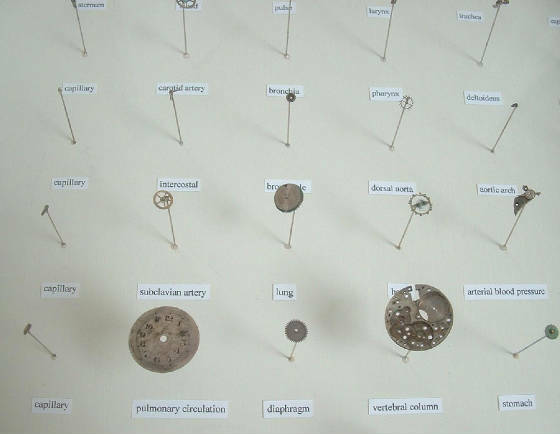 The labels indicate the scientific name of the plant shown, with English names composed from fragments of common names of British wildflowers.